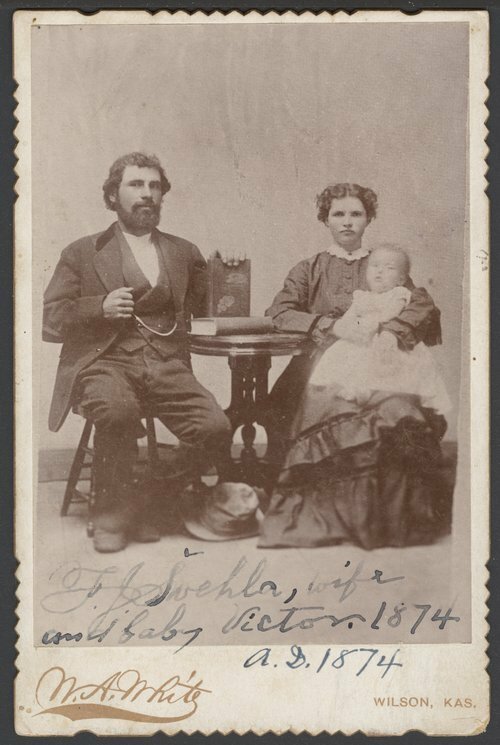 A photograph showing Francis J Swehla with his wife and son Victor. Francis Swehla was one of the first settlers in Wilson, Kansas. This is a copy of a photograph taken at Grete, Nebraska in 1874.